The College of Visual and Performing Arts (VPA) has announced that Milton Rubén Laufer, a pianist and scholar and current director of Western Carolina University’s School of Music, has been named director of the Rose, Jules R. and Stanford S. Setnor School of Music, effective July 1. Laufer will be responsible for the Setnor School of Music’s creative, academic and strategic leadership, and he will provide public advocacy for the school at the University, regional and national levels. He will also serve as an associate professor of music. Laufer succeeds Martha Sutter, who will return to the faculty following a one-year research leave. 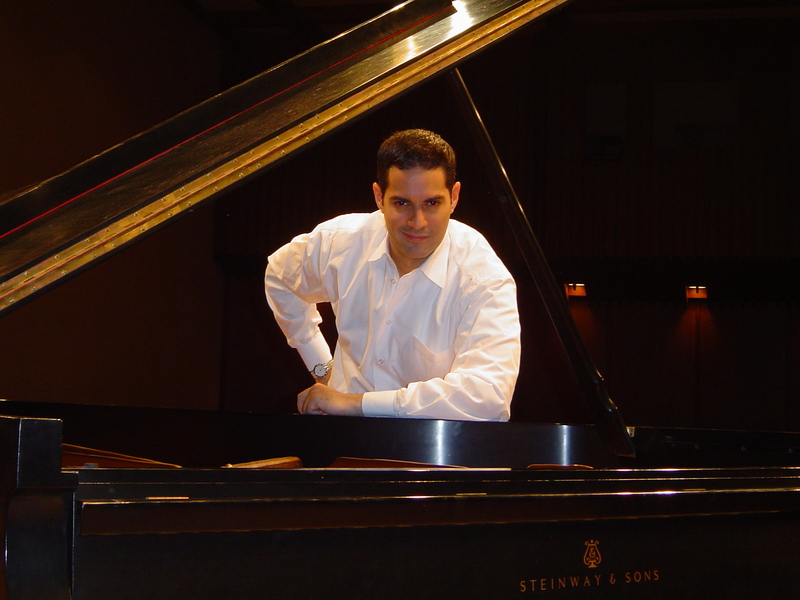 A Chicago native of Puerto Rican and Cuban parents, Laufer began playing the piano at three years of age, and his training includes studies at the Music Institute of Chicago, the Gnessin Institute, the Eastman School of Music, the University of Michigan (B.M.) and Rice University (M.M., D.M.A.). Laufer has delighted audiences on four continents in prestigious venues from Lincoln Center to Tchaikowsky Hall. A versatile artist, he has shared the stage with artists ranging from Natalie Cole to Guerassim Voronkov. His appearances on Spanish-speaking television and radio have been aired throughout Europe, South America, Central America and the Caribbean. In addition, he has two recording projects planned: an album featuring piano and vocal works by Cuban composer Ernesto Lecuona and recording of Latin works for cello and piano with Canadian cellist Nigel Boehm. His recording credits include albums on the Naxos, Zenph Sound Innovations, Bis Records and Beauport Classics record labels. As an educator, Laufer is guided by the principle that students must be adaptable to the changing vocational landscape that awaits them. They must not only be skilled, expressive technicians, but also entrepreneurs and convincing communicators who understand the value of their art as a commodity in the marketplace and its power as a force for change within their community. Laufer is a charter trustee and lifetime member of the Latin Songwriters Hall of Fame and an active voting member of the National Academy of Recording Arts and Sciences (Grammys) and Latin Academy of Recording Arts and Sciences (Latin Grammys).